The timer on a Kenmore dryer determines the length of time the dryer stays in a drying cycle. Timers do malfunction through use and wear. 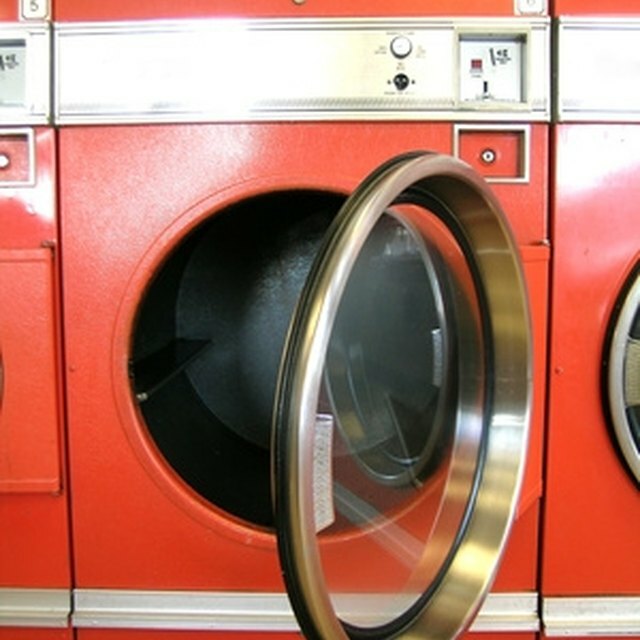 The Kenmore dryer will function properly again once you know how to replace a timer on it. The timer is accessed through the control console on the dryer. Unplug the Kenmore dryer from the wall outlet. Move the dryer away from the wall so that the control console can sit in the service position without hitting the wall. Locate the screws that fasten the front of the control console to the top of the Kenmore dryer. There is one screw at each that may or may not be covered by decorative trim. Use a Phillips head screwdriver to remove the screws. Use your fingers to pull the timer knob off the timer shaft. Grab each end of the control console with your hands, lift the front up and turn the control console over into its service position. The control console will sit on its hinges while in this position. Use your fingers to press in the plastic locking tabs that secure the wiring harness to the timer. Pull the wiring harness off the timer. Use a Phillips head screwdriver to remove the screws that fasten the timer to the control console. Remove the timer from the Kenmore dryer, and take it with you to the appliance repair store. You should also have the model number of your Kenmore dryer with you as well. Make sure that the replacement timer matches the timer that came out of the dryer. Align the new timer over the mounting holes in the control console. Secure the timer to the control console using the retaining screws. Connect the wiring harness to the new timer by pushing it into place until the locking tabs connect. Pull the control console front back down to rest on the Kenmore dryer top. Fasten the front of the control console to the Kenmore dryer top using the retaining screws. Push the dryer back into its normal working position, and plug the dryer back into the dryer wall outlet.